In anticipation of Apple announcing announcing the newest iPhone, AT&T updated its Mobile Share Value plans. So this seems like a great opportunity to re-visit your options with AT&T Wireless, see if the Next program still offers good value for early upgraders, and find out how much more data you are getting with the newest AT&T data plans. Click here to shop iPhones at AT&T. What is AT&T Next All About? How Else Can I Purchase an AT&T Smartphone? How Much Am I Paying for the Phone? If you want to upgrade to a new smartphone every year or so, AT&T's wireless plan called AT&T Next was created with you in mind. Until recently, smartphone plans required that you commit to a two-year contract, and you were not able to change phones during this time without paying a big early termination fee. You pay a small monthly fee to upgrade your phone every year without a down payment. So, how does it work exactly? What are the credit requirements? And is it worth it? AT&T Next 12 allows you to make 20 monthly payments that equal the full retail price of a new smartphone. After making 12 payments, you can choose to trade in the phone to upgrade to a new one. AT&T Next 18 allows you to make 24 monthly payments that equal the full retail price of a new smartphone. After making 18 payments, you can choose to trade in the phone to upgrade. AT&T Next 24 allows you to make 30 monthly payments that equal the full retail price of a new smartphone. After making 24 payments, you can choose to trade in the phone to upgrade. With AT&T Next, you will only make a down payment if you choose too. And your monthly payments do not include any interest or financing charges. Yes: even when you upgrade your phone, there will be no additional down payment required (unless you are on the AT&T Next with Downpayment plan).​ But upgrading your phone will extend your contract. Also, this is not a lease. After you completed paying off your smartphone, you will own the device. Please note that ​that your monthly device payment will decrease if you choose a Next upgrade plan that requires more time between upgrades. The exception is AT&T Next with Down Payment, which allows you to save some money compared to AT&T Next 12, while still upgrading every year. AT&T Next is offered to new customers with qualifying credit requirements or existing customers with an account in good standing. The plan is not available for prepaid GoPhones, but most smartphones sold by AT&T are eligible. It seems that AT&T Next has loosened its credit requirements in the last year by introducing AT&T Next with Down Payment. So, if you have poor credit, this may be the best AT&T wireless option for you. Generally, it seems the credit requirements are based more on credit class and payment history with AT&T rather than credit outside of the company. If you are new to AT&T and have credit scores below 600, you will likely still be approved. But AT&T will probably require a large security deposit. Check out our wireless deposit calculator if you want to see what deposits others are making with AT&T. If you are not interested in AT&T Next, AT&T Wireless does offer some additional options to purchase your phone. ​You will pay a higher activation fee. Each month, you will pay a higher device access fee. You will enter into a 2-year contract, limiting your ability to upgrade. You will end up paying more than with a AT&T Next plan, and will be better off with AT&T Next with Down Payment (especially if you purchase multiple phones for a family share plan). If you want total freedom to change carriers, upgrade, and avoid contracts, you can choose to pay the full purchase price of you phone up front. With Mobile Share Value plans, AT&T makes choosing a plan pretty simple. ​All plans include unlimited talk and texting (including international texting). Plans are for individual or families. Plans are meant to be shared among one or multiple devices - you choose. You get unlimited talking and texting with Mexico and Canada on 15 GB and higher plans. Rollover data is included and let's you roll unused data from one month into the next one. You pay a monthly access charge for each device. You do get a $15 or $25 monthly discount on this fee if you choose an AT&T Next or No Contract purchase plan. The larger $25 discount is only available if you choose a plan with a minimum of 15 GB of LTE data. * To be able to take advantage of the discounted Monthly Access Fee, you will need to purchase an AT&T Next or No Annual Contract smartphone. As you can see, the more data you get, the bigger the discount. And AT&T is using the the access charge to drive you away from the old subsidized contracts and towards the newer AT&T Next plans. Guess what! AT&T still charges activation fees for new smartphones. Activation fees are added to your first bill (and are not required at the time of device purchase). ​An individual with a 5 GB data plan and purchasing a new 16 GB iPhone. A family sharing the 15 GB mobile value share plan and purchasing two new 16 GB iPhones. We chose to use the iPhone because of its popularity. Pricing for new Samsung Galaxy and other popular smartphones is similar. The numbers in the chart are rounded, but our calculations were made before rounding monthly costs. Also, we do our best ​to choose plans and phones that allow you to compare the 2-year cost of ownership among different carriers. So these plans were chosen to best match options available from other carriers. FYI, you can also check out this article to see how the cost of ownership with AT&T compares with other providers. 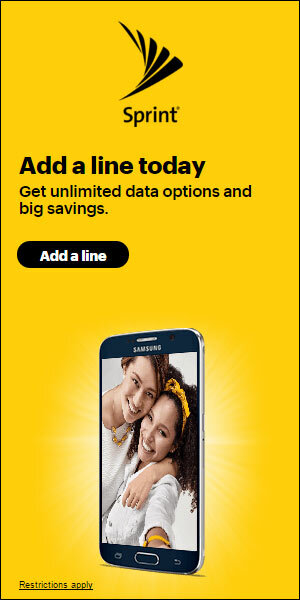 * Upfront costs include the purchase price or down payment of your phone (if any) plus the activation fee. Your activation fee will be added to your first bill. ​Next 24: $21.67/month, for a total of $520.08 over two years before you can upgrade. Next 18: $27.09 per month, for a total of $650.16 for the privilege to upgrade after 18 months. Next 12: $32.50/month, for a total of $780 over 24 months for the privilege to upgrade every 12 months. Next with Down Payment: $16.25/month for a total of $590 (including the downpayment) over 24 months. There is obviously a premium being paid to enter the early upgrade program, and for more frequent upgrade cycles. But because of the penalties that AT&T charges each month for the device access fee, your total cost of ownership is still less after 2 years with AT&T Next 24. As you can see, pricing is actually bunched together for an individual using 5 GB of data. There is little difference in total cost of ownership. But, if you wish to update frequently, we recommend the Next with Down Payment option. AT&T Next with Down Payment was introduced to extend AT&T Next plans to those with bad credit. Yes - there is a lot of fine print to read, and quite a few gotchas when deciding upon AT&T. But we still recommend considering AT&T Next if you are looking to upgrade your smartphone regularly. You need to pay the sales tax on the full retail price of the phone at the time of purchase. You will be responsible for any remaining unpaid balance if your phone is lost or damaged, and you can't upgrade after 12 or 18 installments if you lost or damaged the phone. This is why you should get mobile insurance to cover you. When you trade in the phone, it must be in good, working condition or you will be responsible for the remainder of your installment payments. You do not get anything when you trade in your phone except the new phone. All things considered, the AT&T Next plan will be a good choice for you if you absolutely want a new phone every year or so, and you want access to the AT&T network.